Andrew Garfield is promoting his new movie, 99 Homes, which means giving a lot of interviews, and that means people keep asking him about Spider-Man. Garfield washed out of superhero’ing, joining the ranks alongside Taylor Kitsch and Brandon Routh as someone whom superheroes Did Not Help. The sad thing is that Garfield was the best part of the Amazing Spider-Man movies, but his time in the supersuit is being erased by Marvel’s new, Avengers-adjacent continuity. Ironically, it was Garfield himself who pushed to bring Marvel Studios into the Spider-Man movies. 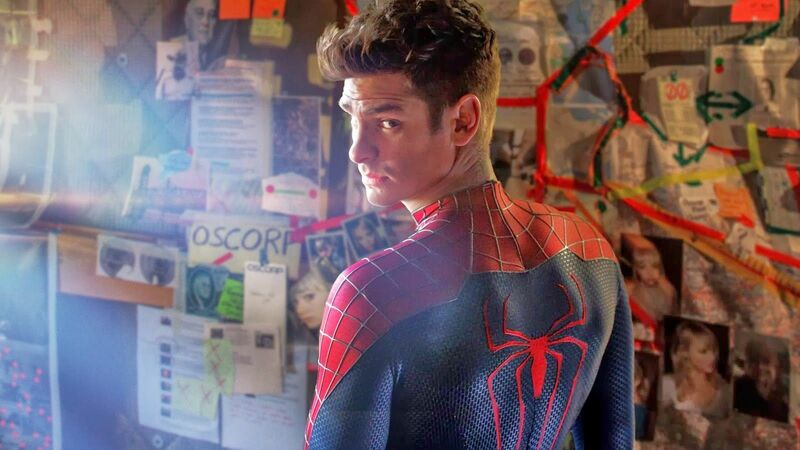 In an interview with Mike Ryan, he said he was “petitioning to hook up with Marvel from the beginning,” and it’s true that Marvel and Sony made several attempts at brokering a deal before finally agreeing to shared custody of Spider-Man earlier this year. I always felt, based on the way that Garfield approached the character, that he was setting up a world in which his Peter could deal with Tony Stark or Steve Rogers. Just tonally his performances always seemed of a piece with Marvel movies, he was just surrounded by so much extraneous bullsh*t it never actually happened. They all want to be the definitive version of their character, and I think what Garfield is getting at is that he’s aware he was not Definitive Spider-Man, the way RDJ is Definitive Iron Man or Chris Evans is Definitive Captain America. Those guys are going to be really f*cking hard to replace someday—which is why Marvel keeps coughing up money for RDJ—but Marvel/Sony didn’t hesitate to find a new Spider-Man. So Garfield only got to play the character in a couple of movies that no one liked and everyone is already trying to forget. That has to sting. Which is probably why in yet another interview, he sounds very melancholic about the whole thing. Speaking to The Playlist, Garfield compared making superhero movies to “canning Coke”, and saying of the hype machine that drives tentpole filmmaking, “…it sounds like a prison, to be honest, living within those expectations.” There’s always a lot of expectation, both fan-driven and financial, on superhero movies, but it’s especially keen when you know your movie isn’t great. 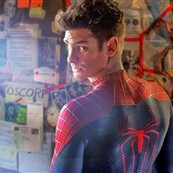 We’ve seen others buckle under that weight, most recently Josh Trank, and now Andrew Garfield is the latest in a string of people to be wrung dry by superhero movies. It was four years of his life and what should have been one of the biggest roles—if not the biggest—of his career, and instead it amounts to a shrug.